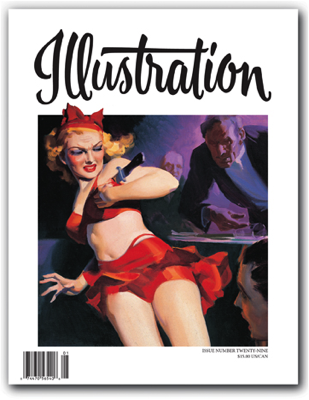 In this SPECIAL ISSUE: A book-length profile of the spectacular art of Hugh J. Ward, one of the most prolific and popular pulp magazine cover artists of the 1930s and ’40s. In addition to hundreds of magazine covers, Ward also visualized some of America's most iconic heroes: Superman, the Lone Ranger, and the Green Hornet. This issue features scores of reproductions taken from the original art, rare photographs, drawings, and preliminary studies. Plus...book reviews, exhibitions, and more! 96 pages in full color. $15.00 U.S.